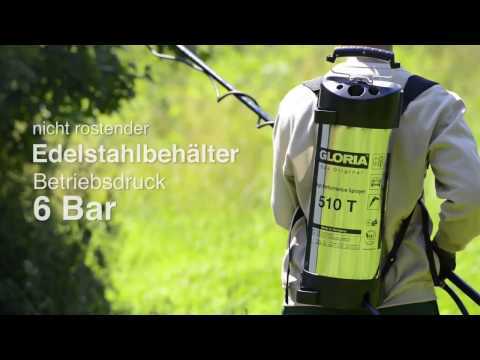 One of the world leaders of professional sprayer, Gloria 510T Profiline offers quality and durability to the highest standards, made of stainless steel resistant to corrosion and equipped with Viton seals. The tank capacity is 10 liters, and can create a pressure of up to 6 bar. It is still fitted with the pressure relief valve, hose resistant to oils, brass fittings and trigger with filter. Gloria 510T is widely used in agricultural industries, nurseries, gardening and for pest control. It is designed to last many years of regular consumption. It is appropriate for use of disinfectants also. The characteristics of the spray also include a pressure gauge, shoulder straps for creating comfort during use, the safety valve, the brass nozzle with fan spraying form. The trigger is made of brass also, in the same way as the lance. 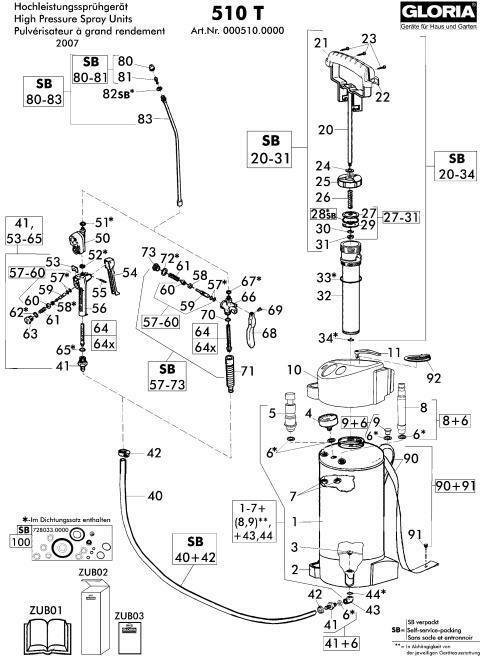 It also contains a filter of impurities in order to protect the nozzle of contamination, an enlarged orifice which helps to easily fill the tank but also the possibility of emptying it with ease.